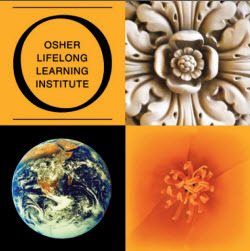 Osher Lifelong Learning Institute (OLLI), celebrating 25 years of lifelong learning, is a peer-led, learning in retirement organization that offers a wide variety of non-credit classes and activities for adults, age 50+ or retired. OLLI provides you the opportunity to stimulate your brain and meet others with similar interests. In our more than 100 classes offered each fall, spring, plus a special selection of fun summer classes, you can explore new topics, discuss current events, and network with other talented and interesting people.